Studio Condo steps from the beach, pool, hot tub and tennis on site. 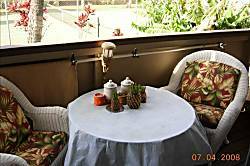 Ocean View 1 Bath Studio Across Kihei Road From The Ocean. 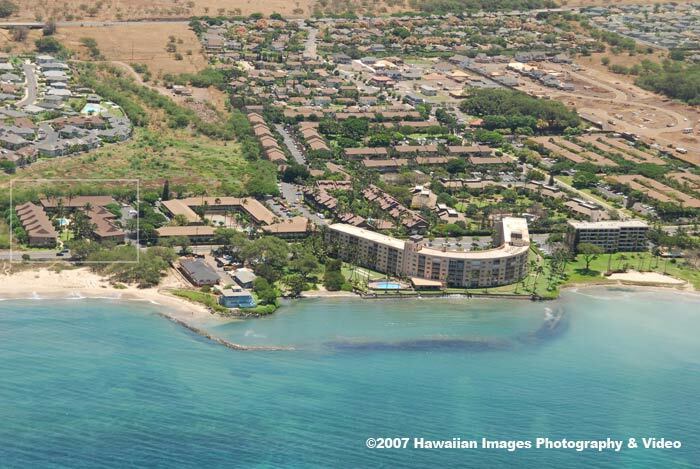 The Kihei Bay Surf is located in North Kihei across the street from the Whale Sanctuary and Kalepolepo Beach and the ancient Menehune Fish Pond. 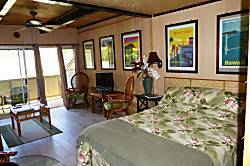 Each studio has a fully equipped kitchen, Cable TV and can sleep from 2-3 people. 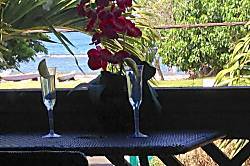 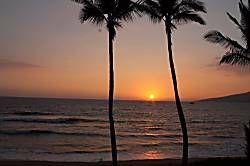 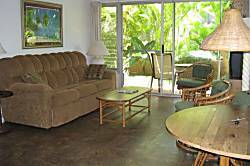 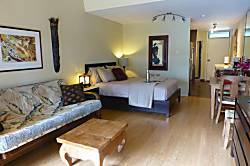 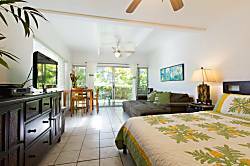 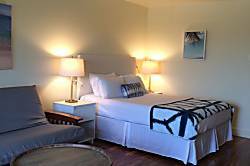 Kihei Bay Surf unit 119 is a beautifully remodeled studio that can sleep up to 3. This tiled unit features a fully equipped kitchen with new appliances and granite countertops. 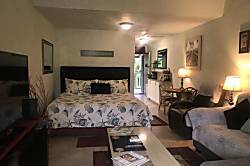 It is nicely furnished and has Cable TV and a DVD player. 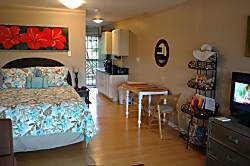 Unit 123 is a completely remodeled unit with tiled floors and new granite countertops. 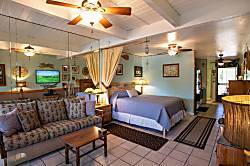 The bathroom is completely new as well. 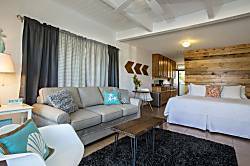 This studio can sleep 2 people. 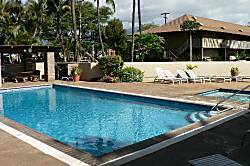 It has high speed internet service. 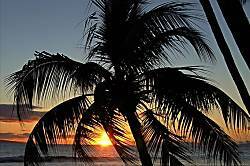 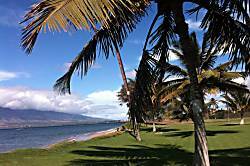 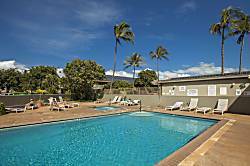 Kihei Bay Surf is located in North Kihei across the street from the Whale Sanctuary and Kalepolepo Beach. 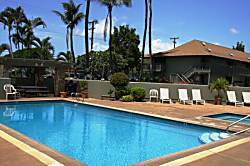 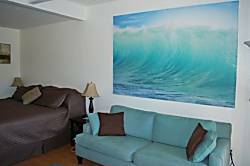 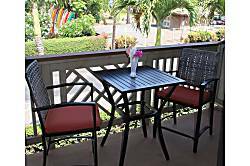 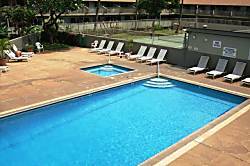 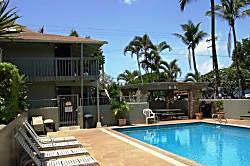 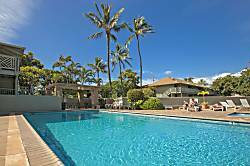 In addition there is a nice pool, hot tub, new tennis courts and barbecues, and laundry facility.Unit #253 at the Kihei Bay Surf is an upstairs studio that can sleep 2.